No one wants to give sedating medication to their precious pet. However, there are times when this is necessary and actually a good decision for the animal. When might you need to sedate your cat? Many cats need mild sedation when they are recovering from an injury or surgery so they don’t accidentally hurt themselves. Some also need it when you are traveling so they remain calm and quiet. In addition, pets with anxiety may need sedation in order to deal with veterinarian visits, grooming, or other events they find stressful. In some cases, a sedative will be safer than their behavior when they are panicked. Whatever the reason you wish to give your kitty a dose of calm, there are several over the counter products available. The ones listed here are all safe for cats, although you should talk to your vet before giving any kind of medication. Also known by the brand name Benadryl, diphenhydramine is a popular allergy medication that has a side effect of sedation. Its calming and sleep-inducing effects are especially pronounced in children and small animals such as cats. Diphenhydramine is a preferred sedative for cats because it also prevents nausea and itching. This is especially helpful if you have one of the many cats who itch obsessively or vomit when they become stressed or upset. It also can help with motion sickness and car sickness, two common issues in cats. Veterinarians routinely prescribe Benadryl for cats for a variety of reasons, including sedation. The best way to administer it is to use a bottle of children’s liquid diphenhydramine, preferably the type without the dye. There will be a dosage guide on the back that allows you to pick the right dose for your cat’s body weight. Most people find that the easiest way to give a liquid medication is to simply hold the cat down and go for it. However, this may cause them even more stress and make them harder to sedate. Cats do not like to take medication, so administering this can be a challenge. In addition, it can make cats drool more. Be prepared for a sleepy, drooling cat if you decide to go this route. Feliway is one of the most popular cat sedatives on the market. It is not used internally, but rather comes in a spray, diffuser, or wipes that are used in the cat’s environment. Cats communicate through body language, noises, and biochemicals called pheromones. According to American Scientist journal, they secrete these pheromones in their skin and glands as a way of communicating their health and mood to other cats. Feliway contains a cat pheromone that they release when they are calm and sleepy, so it will induce these emotions in your kitty. Many people prefer Feliway because it does not have to be administered like a medication. You simply spray it or plug the diffuser into a wall. In addition, it has no side effects because it is not taken into the cat’s body. Once plugged in, this product can affect cats within a 700-foot range. A single diffuser vial lasts a month, giving long-term effects. It is one of the safer and more affordable ways to sedate a cat, especially if you have multiple cats that will be affected. Feliway should never be sprayed or wiped directly on your cat. It has not been tested to be used topically or to be ingested. Because cats are vigilant about hygiene, anything you put on their fur will be ingested. This product is a popular choice for cats that have neurotic habits such as scratching on furniture or urinating outside their litter box. It can be applied in your home on a daily basis with no toxic effects. 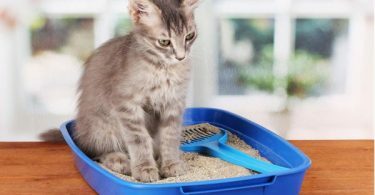 The spray and wipes are popular for cats who have to travel, as the product can simply be applied to their crate and bedding. Feliway uses a pheromone that is specific to cats so it has no effect on dogs and other pets. It has no scent so humans don’t even notice it. There are very few downsides to this product. Pet Wellbeing Stress Gold is an over the counter pet sedative made of a blend of calming herbs. It is an all-natural and organic product that contains chamomile, valerian, and other herbs that have a sedating effect. This product is a liquid that has to be taken orally, which can be challenging with some cats. However, it does not have an unpleasant taste or smell. Only a small amount is needed; simply put a few drops on your cat’s tongue. According to Dr. Stephen Sinatra of Heart MD Institute, many herbs can be safe and effective for cats in the right dose. Many of these are the same herbs taken by humans who are interested in natural medicine. Dr. Sinatra notes that it is important to get a product intended for cats specifically, as some of the herbs taken by humans are not safe for felines. Pet Wellbeing Stress Gold is recommended by veterinarians for cats that are having routine stressful events, such as moving, traveling, storms, fireworks, and having new pets in the home. It is also used for cat insomnia. It is widely regarded as safe, with no reports of harmful effects. It is important to read the label on this product so you can give the correct dose. The product is very sedating, so it is important to be precise. One of the benefits of this product is that it can also be given to dogs. If you have a family event likely to make all of your animals anxious, you will only need this one vial to sedate all of them. There is no information on whether it can be safely used by children and adults, so be sure to keep it in a locked cabinet. Rescue Remedy is a popular pet sedative. Like Pet Wellbeing Stress Gold, it is a natural herbal blend that can be used by either cats or dogs. It is even used for horses and larger animals that have anxiety problems. Rescue Remedy is made of organic flower extracts so it is safe when given in the recommended quantities. Because it is nontoxic and not addictive, it can be used on a regular basis to mildly sedate pets who have ongoing issues with anxiety or hyperactive behavior. One of the benefits of this product is that it does not have to be forced into a pet’s mouth. Instead, the manufacturer recommends that you drop it into the animal’s water or moist food. If your cat does not eat or drink an entire bowl at a time, you instead can put the drops on a pet treat for them. This can be an advantage if your cat is especially high strung. Some animals become stressed and anxious from the mere act of taking a medication. 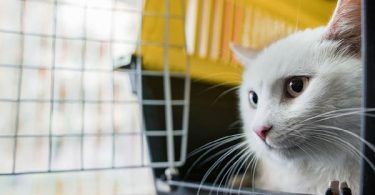 Washington State University Veterinary School notes that owners are at high risk of being bitten if their cat becomes stressed by taking oral medication. Cats and smaller dogs will need only four drops to feel a calming and sedating effect. Veterinarians often recommend larger doses for especially troubling behaviors such as aggression. You should talk to your veterinarian before giving any more than the manufacturer recommends. If you want an oral over-the-counter sedative that is not a trial to give to your pet, Pet Naturals Calming Chews may be the answer. These chews are flavored like chicken liver, so your cat will think they are simply being given a treat and eat it eagerly. These chews are intended to be used not just as a sedative, but as a behavioral support supplement. Your pet can be given this supplement every day if they need it. There is no report that it is habit-forming or dangerous when taken every day as recommended. This chew is popular because, unlike most sedatives, it does not cause changes to the cat’s behavior. They will merely be a calmer, more sedate version of their normal self rather than a glassy-eyed, drooling lump. This product is marketed as a sedative, but it is really more of a calming agent. Your cat will not be sleepier than usual while taking it. If you are looking for a product that will make your cat sleep through a long car ride, this is not it. However, if you are looking for a long term way to help them manage anxiety, this is it. Many pet owners worry about giving their cat a calming drug every day. Unfortunately, this can often be the only to manage problem behaviors. 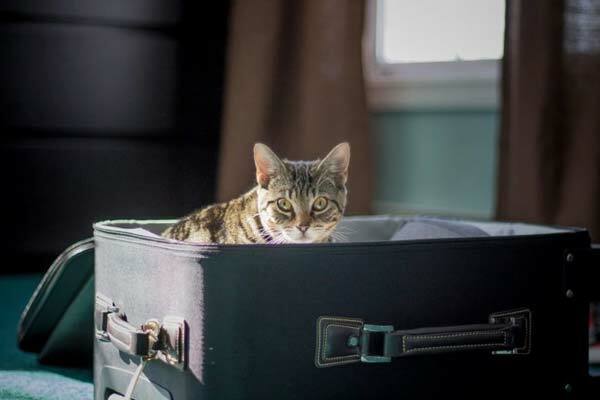 In addition, veterinarian Dr. Janette Vani notes that cats can make themselves sick from anxiety and stress because domesticated life does not allow them coping mechanisms that are available in the wild. If you are planning to sedate your cat for more than a single event, it is important to talk to your veterinarian. They can let you know what products are safe for everyday use in a small animal. Cannabis is increasingly being used for medical purposes in humans, so why not cats? Hemp oil is safe for cats and dogs, as well as totally legal in all 50 states. Hemp oil does not contain THC, the component of marijuana that makes people feel intoxicated. However, it does contain other hemp compounds that will make your cat feel relaxed and sleepy, such as CBC oils and flavones. Hemp oil is used in cats as a mild sedative, which can be helpful for problem behaviors or stressful situations. The product also has been used for joint pain, aggression, and other symptoms in cats. This product is organic, tested for purity, and grown in the United States. The oil is cold-pressed, which is a process that removes oils and medicinal compounds without damaging them. In other words, it is the very best product for a small animal like a cat. Cannabis researcher Sarah Rumple notes that CBDs and other compounds in hemp have been found to be safe in animals, even small pets. Still, it is important to give it in a small dose that is appropriate for their size to avoid side effects. There are many other hemp products available for cats and dogs. We prefer this one because it is organic, pure, and has been tested on our furry friends. It is food-grade, which means it meets the higher safety standards for human supplements and food. Elite Cat Calm is a popular supplement to give anxious or scared cats an extra dose of calm. It relaxes cats who are anxious or stressed out. In addition, it makes animals fall asleep, which can be handy for road trips and veterinarian visits. This supplement has hops extract as its main ingredient. According to Dr. Richard Fogoros MD hops extract is a powerful sleep-inducing medication when used in humans. When used in smaller animals such as cats, it makes them extremely sleepy. In addition, it has passion flower and St. John’s Wort, both of which are common herbs for reducing anxiety and improving mood. The combination of these herbal supplements has a synergistic effect, allowing your cat to get through a variety of stressful events without yowling or other negative behaviors. This product makes cats sedated for two hours. After this, they will simply be calmer and less nervous for another few hours due to the long-lasting effects of passion flower and St. John’s Wort. Because it is packaged in a tasty beef chewable tablet, it can be easier to give this sedative to a cat than a liquid. This is a good choice for cats that are stressed out by taking drops or pills that have to be swallowed whole. You may have taken melatonin before to help you sleep. NaturVet Quiet Moments Calming Aid offers the benefits of melatonin as well as several other sedating supplements to your furry family members. Melatonin is the hormone that induces sleep. It is naturally made in the brains of humans, cats, and virtually all mammals as preparation for bedtime. 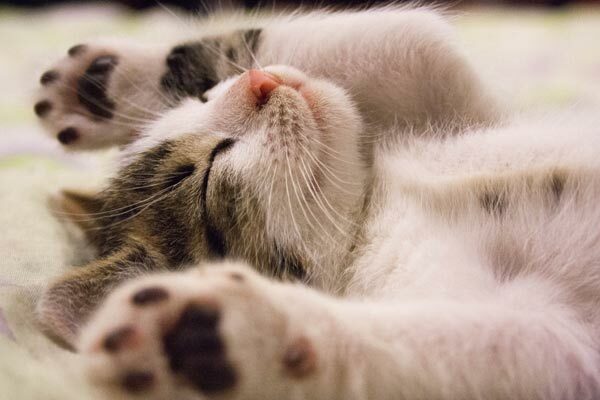 When you take a supplement of this hormone, it will immediately leave you sleepy and yawning, just as it does for cats. 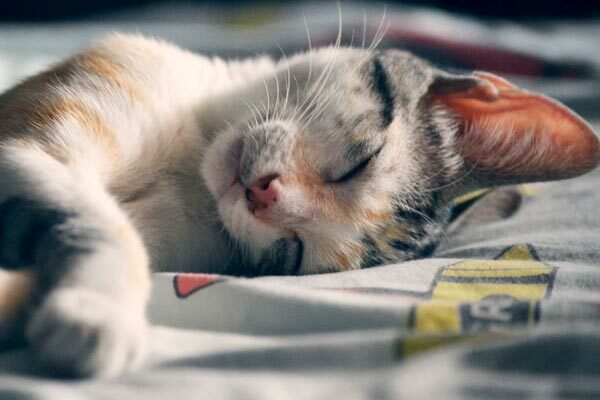 Melatonin is absorbed very quickly, which can be a benefit when you need to calm your feline immediately. However, it tends to be short acting as well. Although this supplement may work for a short-term event, it will not be enough for a road trip. In addition to melatonin, this supplement contains tryptophan and thiamine. Both of these supplements have been found to encourage calm and to reduce anxiety. In summary, this supplement will act immediately and may put your cat to sleep for an hour. However, it won’t be a long term solution. Some cats need a one-time sedative to handle a stressful situation. Other cats need that little boost almost all the time. The Sentry Calming Collar is a product made for cats who need a mildly sedating product on a daily basis. Like many other cat calming products, this one releases pheromones. However, this is a very low dose that is intended to be worn by the cat so they will experience calm vibes wherever they go. Many cats have problem behaviors that are actually due to anxiety. Whether your cat is aggressive, destructive to your home, loud, or otherwise have undesirable behavior, a small dose of pheromones may help. Because pheromones have no perceptible smell to humans, this collar will make your cat smell only like its lavender and chamomile scents. These smells have been used as calming agents n aromatherapy, so they may give a boost to your kitty’s newly serene mood. Many cats do not like wearing collars. If this is true of your kitties, this is not the product for you. Collars especially should not be worn by outdoor cats, who can easily hurt their necks if a collar gets caught on something when they are climbing. In addition, it only comes in one style and color of collar: a shiny plastic purple. If this is not your preferred look, consider other options. This blend of sedating oils is designed to help your kitty get through a hard day or a long car ride without a peep. This product’s main ingredient is hemp. As discussed above, this plant-based supplement is an all-natural mild sedative that is used by cats, dogs, and humans alike. In addition, extracts of valerian and chamomile have a sedating effect. Also known as “nature’s valium,” Valerian is an herb that is a natural anxiety reliever. It also has a side effect of making people and cats sleepy. This combination of natural oils is very potent, so it is important to use it exactly as the label suggests. This product has a wide variety of testimonials to inspire confidence in new users. One owner describes a small dog that was aggressive and had a biting problem that went away due to this over-the-counter supplement. This product can be used in low doses on a daily basis for ongoing problems such as anxiety, separation anxiety, insomnia, excessive licking, and grooming, or other behavioral issues. A larger dose will help your cat safely and calmly get through occasional events that they find extremely stressful. This supplement is especially popular among people who prefer all-natural remedies such as herbs and essential oils. It offers the same benefits of naturopathic medicines to our smallest family members. Many people spray water at a misbehaving cat. If your feline bad behavior is due to anxiety or stress, Relaxivet Calming Spray may be a better option. The Relaxivet spray is a combination of aromatherapy smells that help cats to be calmer and sleepier. This will have only mildly sedative effects, obviously. However, it can be safely used in combination with other products to get the sleepiest and more stress-free cat on the block. This spray contains all-natural herbals such as geranium and catnip that make cats happy and sleepy. Because it is a spray, you will not need to worry about how to administer medication or potential side effects. Simply spray this onto furniture or textiles around your furry friend and watch them drift off into slumber. A long-ago British author once noted that music soothes the savage beast. According to the makers of this YouTube video, it also may soothe a stressed-out cat. The makers of this CD also have a full line of cat calming music you can purchase at a variety of outlets. These appear to be very similar in tone and in effect on your cat. Although the soft chimes and lullaby-like melodies may not be your preferred genre, these appear to have a calming effect on cats. Although music is not always viewed as a sedative, it actually has strong sedative qualities. Many people fall asleep when listening to certain songs. In addition, we sing lullabies to help babies sleep which is very similar to this line of CDs. Because this is just music, there is no chance of toxicity or overdose. In addition, you can use them in combination with other products to get the maximum effect. There are many medications that can sedate your cat safely for a short period of time without a prescription. If these options do not work, it may be time to talk to your veterinarian. Our pets deserve the very best medical care that we can offer them, including safe treatment for their stress and anxiety.